is an artist and woodworker in Ohio. Saw horses do much more than just provide support for sawing. They can also serve as layout platforms, assembly racks, workbench supports, table extensions and gluing racks. 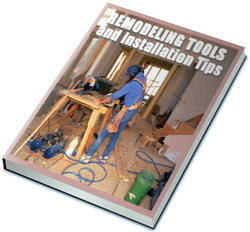 Sawhorscs arc among the oldest and most useful woodworking fixtures. For as long as carpenters and cabinetmakers have been working wood, they have needed something portable to mark, saw, assemble and store their work on. Although these fixtures are often used to hold work for sawing, calling rhem "sawhorscs" sells short their versatility. To have a couple of sawhorscs and a plank is to have a bench at the ready. 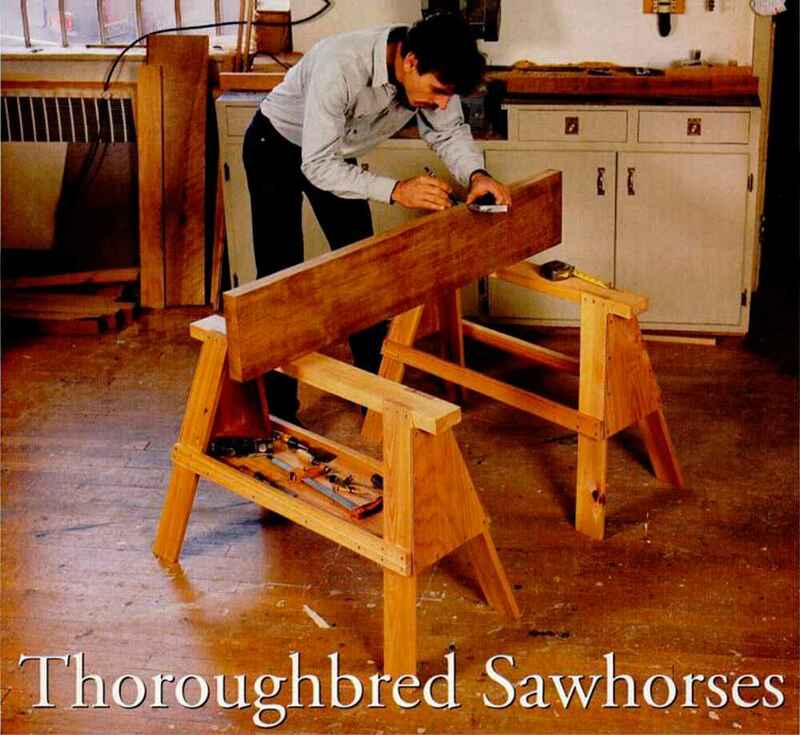 Horses at the proper height will serve as a bench extension or infecd table for power tools. They'll support cabinets for assembly. 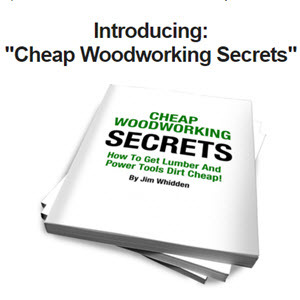 You can use them as staging platforms when jointing and planing or as storage for lumber. If outfitted with an auxiliary board notched for bar clamps, they'll serve as panel-clamping racks. On the following pages, we have rounded up a few of the finest sawhorscs we could find— all with their feet planted firmly in tradition. These are not roughshod animals quickly cobbled together from on-site construction materials. They are shop companions likely to last a craftsman's lifetime. Some are relatively lightweight for easy mobility. Some are cleverly designed to fold up or knock down for easy transportation. There are even some Japanese-style low horses that you can use for working either on the floor or at a bench. Many shops have a variety of horses in different sizes to serve various purposes. The dimensions shown in the drawings arc provided as guidelines only. Feel free to tailor the designs to suit your own needs. And whatever wood you use for these horses, it should be clear, straight, seasoned lumber.